The first challenge posed by a virtual marketplace to businesses is a ‘high competition’. With millions of businesses present online, you have to find a fresh and engaging topic to acquire more customers through web and mobile modes. As digital marketing is getting more and more necessary, it seems to have become an active part of today’s marketing division. Be it some digital marketing company in Delhi or US, big or small businesses are taking equal interest in their creative growth plans. And the reasons are no less worthwhile!!! You can expect a quick and far-reaching popularity with online marketing, which was essentially the major drawback of traditional marketing. No more deep-pocket investments are necessary if you are opting the digital means. It is affordable and suits every business’ purpose. With an online presence, your brand gets the badge of loyalty among your customers and you are no more just a remotely settled shop that your customers cannot reach. • Distance is not an issue if you are willing to make shipments far and wide. Online marketing is here to make things smoother by encouraging connections with your audience in a snap. 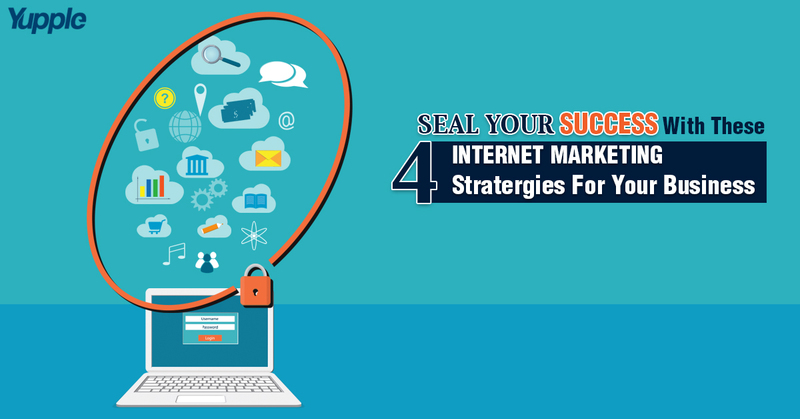 But, since the evolution takes place in every field, internet marketing is not left behind. Here are some of the useful tips that every digital marketer should consider while moving on with his new campaigns. Customers today have an affinity to learn about the products before making a purchase or any investment. Thus, you need to be hyper-vigilant while publishing any content on your blog, infographic, video or social media ads. Be very specific about the content you are publishing. Unnecessary information might put off your customers. Try to make understandable content and avoid using any jargons. Your visitors might not figure that out and get away from your site. Make the content original that symbolizes your business. Search Engines, as well as customers, appreciate individuality and authenticity. Heard about chatbots? Yes, it is a perfect example of AI. The Google’s Voice Search and Amazon’s Alexa are the implementations of this technology. Being a buzzword in this technological world, AI is now taking up space in the realm of digital marketing. In order to provide a more better user experience and eventually productivity, you need to integrate digital marketing with AI. How will it be of help? Check this out. ✔ Allows a better interaction with your visitors. It can keep your visitor busy and answer him relevantly pertaining to your brand. ✔ Bots can be integrated with your social media tools and can direct your customer towards the right product. ✔ You can even determine the position of your customer in your predefined sales funnel. ✔ Bots are bound to make the experience personalized for your visitor and encourages them to move forward. Nowadays, several internet marketing services in Delhi and other cities are using video as their marketing weapon. Videos are more interactive and impactful than mere post. Live video marketing is also garnering heavy attention and seeing 80% share. Brands have experienced higher awareness with live streaming and live webinars. Since you cannot get the data of each and every individual, an alternate is definitely present for you in the name of Contextual Marketing. Study your audience, their likes and dislikes, and their buying patterns and launch the ads accordingly. You can direct the ads to your old customers. The key innovations are making a lot many changes in the way we market and promote our product. These changes are always going to be a part of this ever-growing competitive world but to make it big, we need to keep ourselves apprised of the advancements. Akash is an Internet marketer based in Delhi, India, working as a SEO Manager at Yupple Technologies as a way to teach people about, SEO Optimisation, social media and help them build their business online. You can learn more by following him on Twitter, LinkedIn.